Stretch slow and methodically for 30 min. Walk for 15 minutes and reflect on your day and visualize where you are heading on your journey. 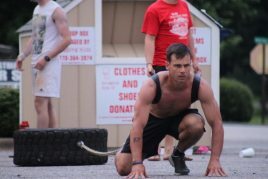 Photo of competitor at CrossFit Dahlonega “Tired Yet” competition taken by Kath from CrossFit North Atlanta . 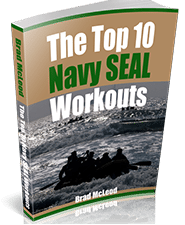 Navy SEAL style frogman grinder PT workout designed for Cesar R., Will M, Zak S, Justin N., Jake B., Shane P, Travis R., and all others that seek to improve their bodies and minds.